During the French Revolutionary and Napoleonic Wars, Samuel Bentham influenced both the technology and the administrative ideas employed in the management of the British navy. His influence stemmed from his passion for science, from his desire to achieve improvements based on a belief in the principle of Utility, and from experience gained over eleven years in Russia, a large part in the service of Catherine the Great and Prince Potemkin. Having travelled extensively throughout the north and south of Russia, Poland and Siberia, he managed Potemkin’s industries at Krichev, built fast river galleys, armed the Russian flotilla of small craft at Kherson and served with the flotilla that defeated the Turks in the Black Sea. His main ambition was to open river communication in Siberia and develop trade into the Pacific. However he returned to England and in 1796 became Inspector General of Naval Works, a post in which he fought for innovations in the technology and management of the British royal dockyards. Regarded then by the Navy Board as a dangerous maverick, this book reveals the experiences, creativity and thinking that made him a major figure in British naval development. Dr Roger Morriss is a senior lecturer in history at the University of Exeter. He is interested in most aspects of European maritime history and teaches British maritime and naval history. His research interests are focussed on British naval administration in the late 18th and early 19th centuries, particularly naval logistics. 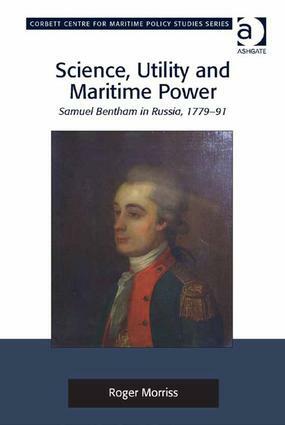 He has published several books, including The Foundations of British Maritime Ascendency 1755-1815 (2010), Naval Power and British Culture, 1760-1850 (2004) and The Channel Fleet and the Blockade of Brest 1793-1801 (2001), and is the current General Editor of the Navy Records Society, a position he has held since 2000.